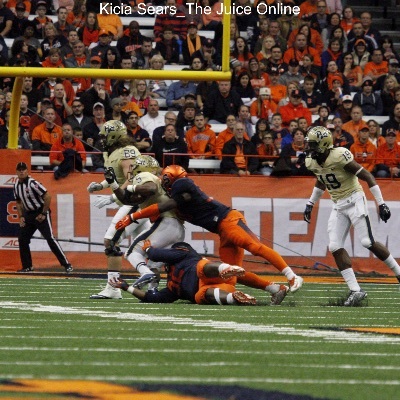 Syracuse is attempting to fill a void in its 2016 class left by Robert Washington. Scout.com’s Mike McAllister is reporting that the Orange has shifted its attention toward 2016 4-star Illinois RB commit Kentrail Moran, and will host Moran on an official visit in January. Moran had committed to the Illini back in March over offers from Iowa, Michigan and Louisville, among others. Eric Briscoe Jr., a 3-star outside linebacker, announced his commitment to Oregon early Monday morning. Oregon was Briscoe’s school of choice from the start, according to Andrew Nemec from The Oregonian. Briscoe also held offers from Colorado State, UCLA and Syracuse, among others. 2016 Syracuse OL commit Sam Heckel from Waukesha West (Wis.) has been named a Joe Thomas Award Finalists for top senior offensive lineman. “He is the best offensive lineman I have coached in 24 years and has played outstanding in 2014 and 2015,” said head coach Steve Rux to WSN. One basketball note for the day comes from former Syracuse recruit Sedee Keita, who committed to South Carolina on Monday evening. Keita was also considering Providence and Temple, and also held a Syracuse offer. The 2016 big man is a four-star recruit rated No. 82 in his class by Scout. 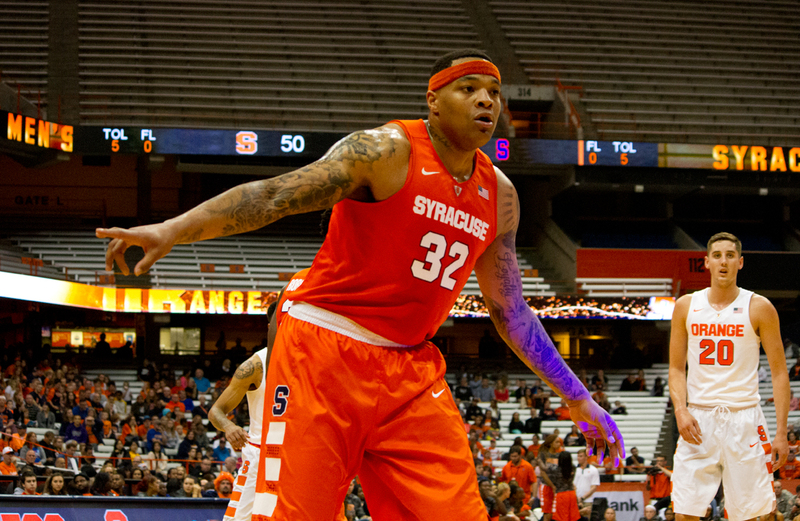 In closing for today, it looks like former Syracuse star Chris McCullough is continuing his rehab. The Brooklyn Game’s Devin Kharpertian reports that McCullough is getting shots up after practices, but won’t resume full basketball activities until January. That’s all for today. Enjoy your Tuesday.